I have followed these forums for a long time but first time actually posting and asking for an answer that I haven't been able to find through searching posts. I am near the end of rebuilding an engine for my 2007 Maxima SE. I cannot identify where this plug is supposed to go. Instead of just topping off fluids, starting her up, and looking where she leaks from I would rather just be able to install this last plug and be able to drive my car again. 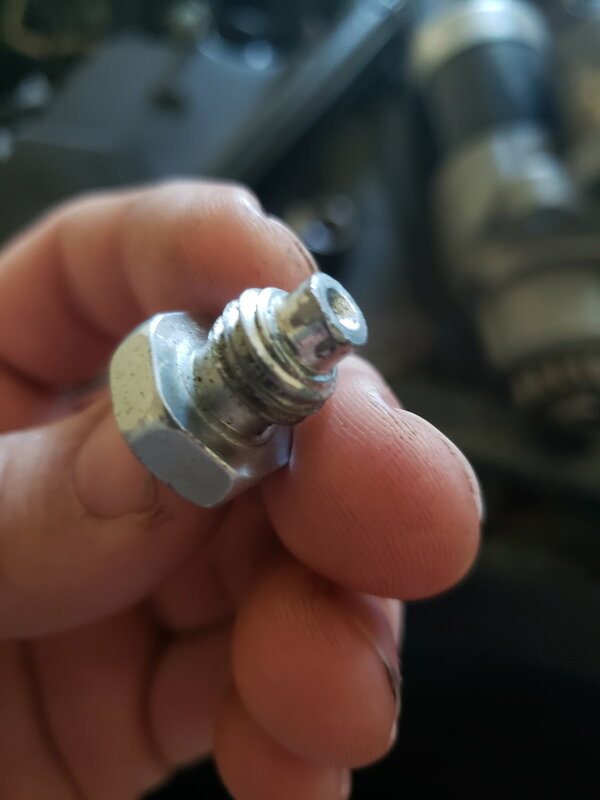 I know that this piece of hardware is from the cylinder block or the heads and is some type of plug most likely because it was in the pile of hardware I received back from the machine shop, along with the water/coolant plug and flywheel bolts. Attached should be a picture of it. I will post pictures of the rebuild, costs, and materials I used at a later date. Thank you for your help! You should post this in 5th gen. Or 6 gen. People are using these engines in 5th gen builds. Engine swap or rebuild??? Please share your knowledge!! !